There’s been heavy rains lately, so someone must have the memo and built this big floating structure. Well, George and I are ready to go in two by two. Ahead of those ducks! 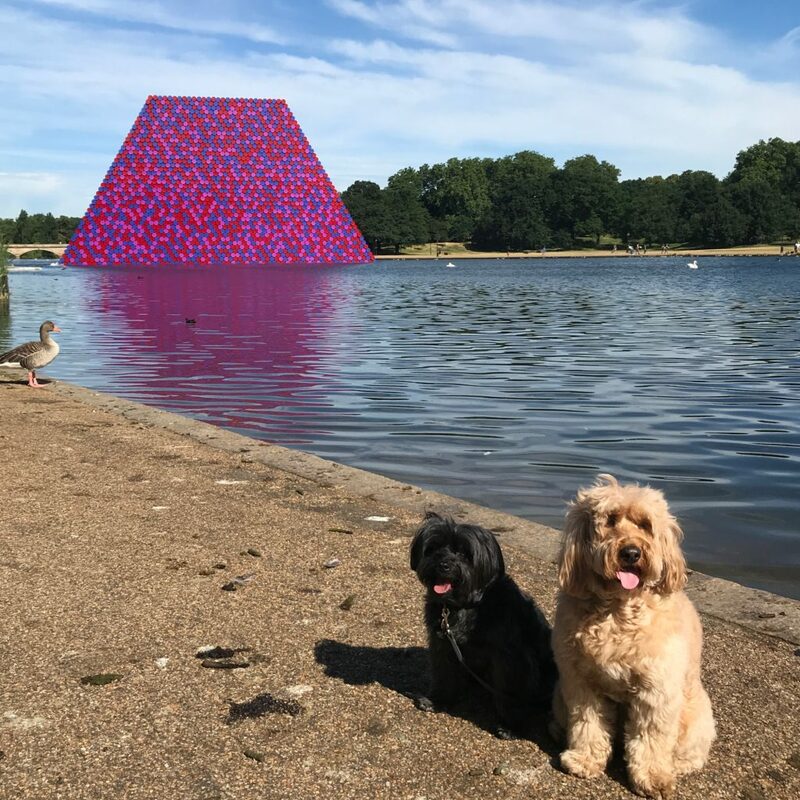 But alas, we were told, it’s not an Ark, it’s The Mastaba – consisting of 7,506 stacked barrels created by Christo! 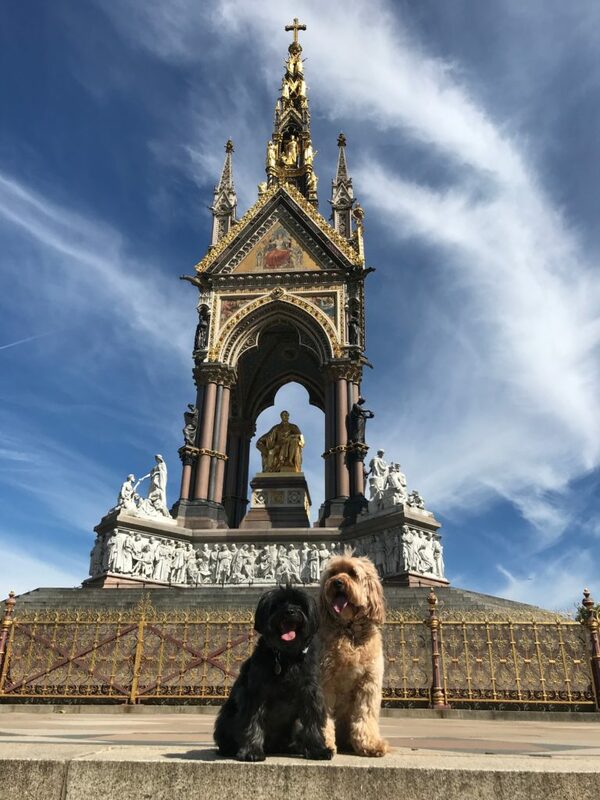 As we were leaving the park, we walked past the Albert Memorial that has been there since 1861. 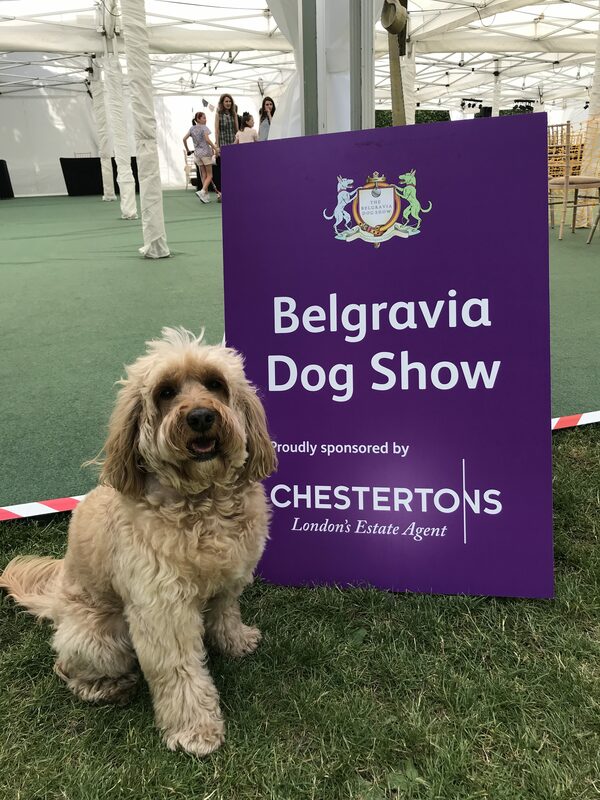 That’s why we love Kensington Gardens/Hyde Park – which was established back in 1536 by Henry VIII. Through the centuries, many memorials and sculptures have been added – and there are constantly new surprises, attractions and things to see and do. We love this park – and Mummy always thought that someday we will have our own bench there – to be a part of the park that we love. 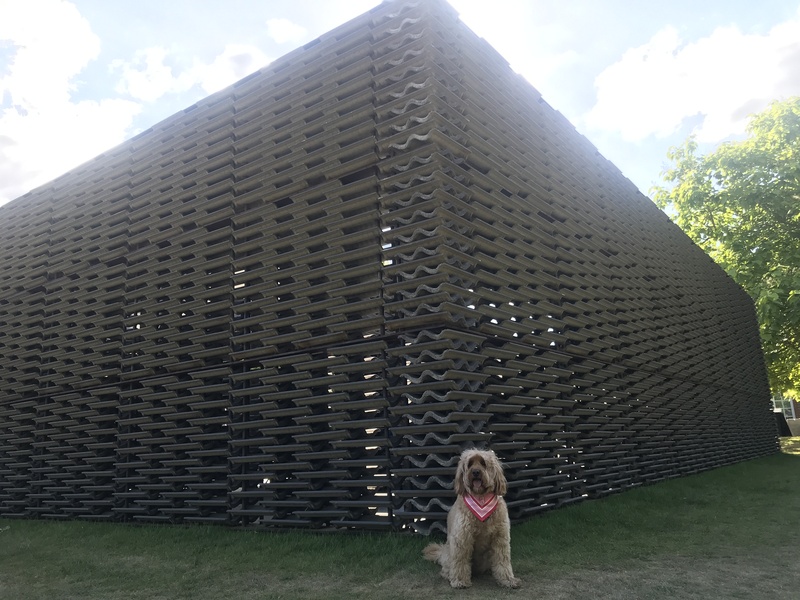 And every year, the Serpentine Pavilion marks the start of Summer. This year, we have a structure by a Mexican architect, Frida Escobedo. So if you’re coming to the park tomorrow for our Hyde Park meet, stop by and have a look at both these structures. They are both quite imposing structure, beautiful in their own way – intervening with the landscape but strangely fits. 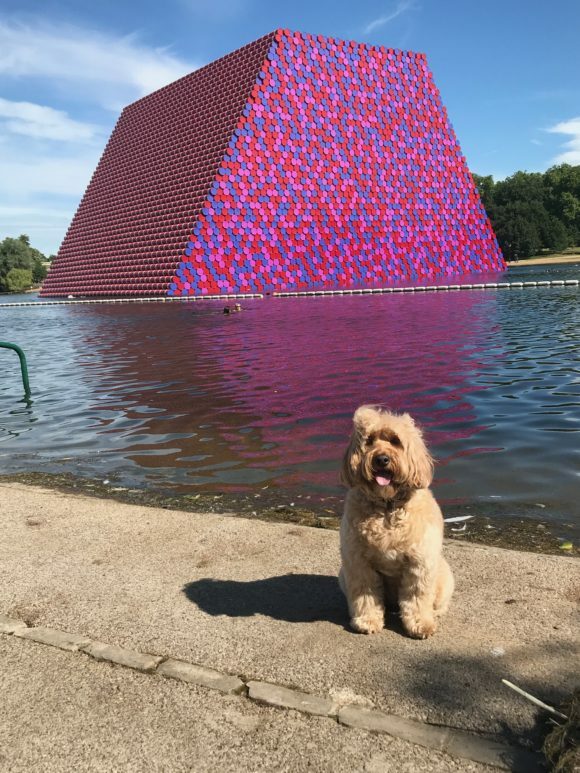 May’s comment: The Mastaba (Project for London, Hyde Park Serpentine Lake) will float on The Serpentine lake in Hyde Park from 18 June to 23 September. Measuring 20m in height by 30m and 40m, the sculpture consists of 7,506 horizontally stacked barrels, specifically fabricated and painted in shades of red, white, blue and mauve – this is Christo’s first large-scale public sculpture in the UK. The sculpture has been funded entirely through the sale of Christo’s original works of art. No public money have been used and Christo does not accept sponsorship. Christo and his late wife Jeanne-Claude are renowned for their large-scale environmental projects and temporary sculptures at sites around the world. 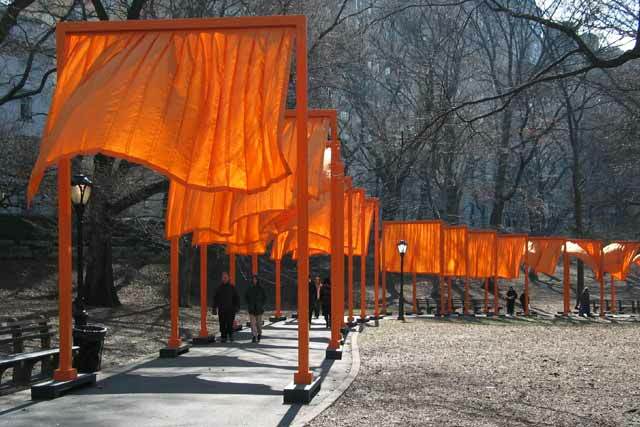 The last time I got to see one of their installations was in New York City – The Gates. They were dramatic and they intervened with the landscape in a dramatic and surreal way. You go to so many interesting places May. And to be able to take Darcy and George just makes them even more special. ← Really, I did go to work today.